I haven’t done a remix post in a while so I thought it was about time! These white slip-ons are definitely my favorite summer shoe. They’re easy, comfortable and go with everything! Plus – they were only five dollars. What more could you want?? It’s really hard for me not to wear them everyday. I am afraid it’s about time to retire them… they are a getting pretty dirty. So, if anyone has any tips of cleaning white shoes let me know! This is one of my favorite casual outfits. I love a good sassy t-shirt and this one has the perfect slogan! My most recent look with these shoes. The great thing about them is you can wear them with jeans/t-shirt or you can wear them with a pretty dress! I like wearing them with dresses like this because they really dress it down and make it more appropriate (and practical). Again – perfect with a dress! This shift dress is perfect for work or the weekend. I loved chucking on this dress, a denim jacket, and these sneakers during the spring. Definitely one of my go-to weekend looks. Another fairly recent look but one of my favorites! It’s been so hot this summer that I’ve really been leaning more towards lighter colors and this white ensemble does the trick. Another post from May but oh well! 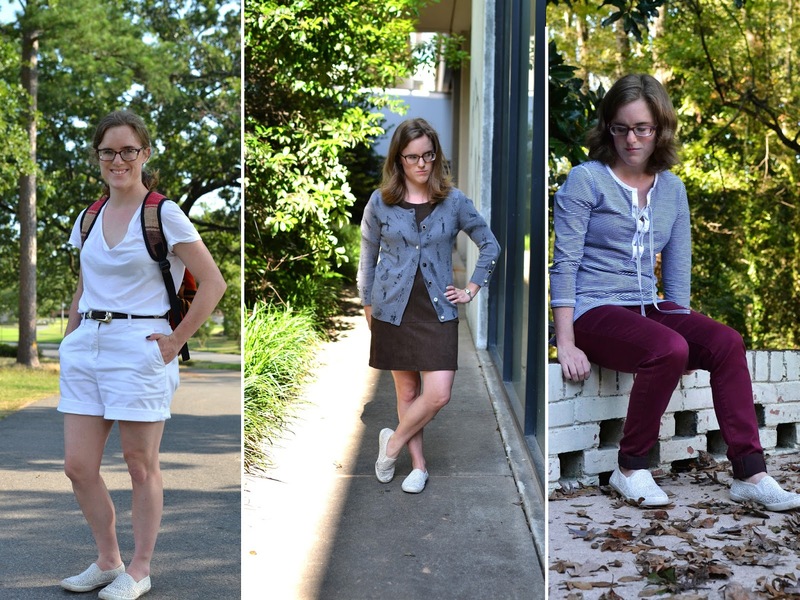 Another example where you can dress down an outfit by pairing some slip ons with it! Here is one way you can wear these shoes in the fall. I normally stop wearing them around October but sometimes you can get away with it. Let me know what your favorite outfit was!